With the official start of the 2018 Winter Olympics in PyeongChang this week, all of your favorite snowy sports are landing for just over a fortnight of non-stop sports! Sports! Sports! You will discover athletes you'll pretend you've always known about and we'll all pretend like we know curling rules. It's going to be great. But PyeongChang, South Korea is 14 hours ahead of viewers on the East Coast of the United States, so you'll be watching a mix of live and already-completed events on a handful of NBC channels and streaming platforms. It might get a little confusing, so here are the details you'll need to keep up with Mikaela Shiffrin, Adam Rippon, Shaun White, and the rest of the Olympic athletes. The 2018 Winter Olympics Opening Ceremony lands on February 9 with a live stream at 6am ET and a broadcast in primetime on NBC at 8pm ET. However, the first events actually take place the day prior. The first medals won't be hung around necks until February 10. The Games last through the Closing Ceremony on February 25. NBC holds the broadcast rights to the Olympics in the United States. This month, it will broadcast more than 2,400 hours of Olympic coverage. That's the most ever broadcast. In fact, it's almost as much as the Sochi and Vancouver Olympics combined. If you're watching any of it, you're almost certainly watching NBC in one form or another. You'll find coverage on NBC, NBCSN, CNBC, USA Network, and the Olympic Channel, which is a real thing that launched in 2016. Coverage begins February 7 at 11pm ET on NBCSN with mixed doubles curling. 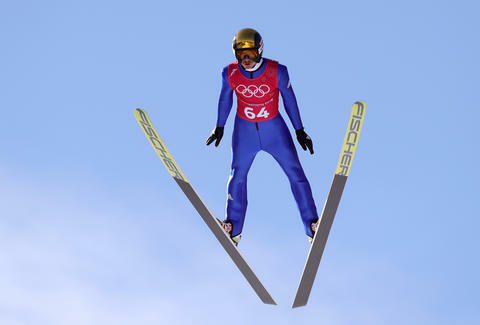 NBC's primetime coverage kicks off at 8pm ET the next night with live figure skating, men's and women's moguls qualifying competitions, and qualifying runs in men's ski jumping. More broadly, NBC will split its broadcasts into three parts. Daytime coverage will run from 3-5pm ET on weekdays and 3-6pm ET on weekends. Primetime coverage starts at 8pm ET every day except Sunday when it starts at 7pm ET. Primetime coverage will include live broadcasts of alpine skiing, figure skating, snowboarding, freestyle skiing, and short track. Following the local news, NBC will air what it calls primetime plus, which will include replays of primetime events and select live events. The bulk of telecasts will be on NBCSN, which has 369 hours of coverage planned. The broadcasts include live primetime coverage and 10 full days of 24-hour programming. Meanwhile, USA Network will have 40.5 hours of coverage, predominantly focused on hockey and curling, some of which will be broadcast live. The Olympic Channel coverage will include 20 hours of news and highlights daily, as well as live broadcasts from medal ceremonies. It will also have a daily studio show hosted by Jimmy Roberts. The Olympics get a little easier to watch online every time they come around. Here are your streaming options. NBC Sports: This is your best bet for getting that sweet non-stop Olympics coverage pumped right into your veins. NBC says all competitions will be streamed between NBCOlympics.com and the NBC Sports app for registered users. There will also be three digital-only shows and live streams of practices available online. You're able to access all of this on your computer or connected device. That includes being able to cast to your TV through any number of streaming apps like Sling TV or set-top devices, like Roku, Amazon Fire TV, or Apple TV. Hulu: Subscribers with the live TV option will be able to stream any of the channels with Olympic broadcasts. However, Hulu doesn't carry NBC in every market. Additionally, Hulu is offering a personalized Olympic experience. After selecting the sports they're interested in, Hulu will surface streams and information about those sports to subscribers' homepage. You'll see live streams, highlights, and athlete profiles pop up exclusively about the sports you've selected. There are tons of interesting storylines to watch for in PyeongChang. Gracenote, an entertainment data and technology company, projects the US will finish third overall in the medal count with 11 golds and 29 total medals. Some of those golds could come from dominant skier Mikaela Shiffrin, 17-year-old snowboarder Chloe Kim, figure skater Nathan Chen, and the women's hockey team, who has had tremendous success at the international level over the last eight years, but hasn't been able to solve the Canadian team at the Olympics. Additionally, US fans will find a few familiar faces in alpine skier Lindsey Vonn and snowboarder Shaun White. Vonn will be competing in her fourth Olympic Games after missing the 2014 Games in Sochi due to injury. White is returning to the Olympics after finishing fourth in 2014, which followed on the heels of two straight gold medal appearances. Gracenote projects Norway will come away with the most medals, totaling 13 golds and 41 overall. Norway has more medals than any other country in Winter Olympics history. If the Norwegian team reached this lofty number, it would be the most medals won by a single country in an Olympic year. The site also projects that South Korea will come away with nine medals, predominantly in skeleton and speed skating. If the host nation gets six medals, it will tie its all-time high. Now, go talk with your coworkers about bobsleigh and ski jumping as though you see it more than once every four years.